Hoera!! 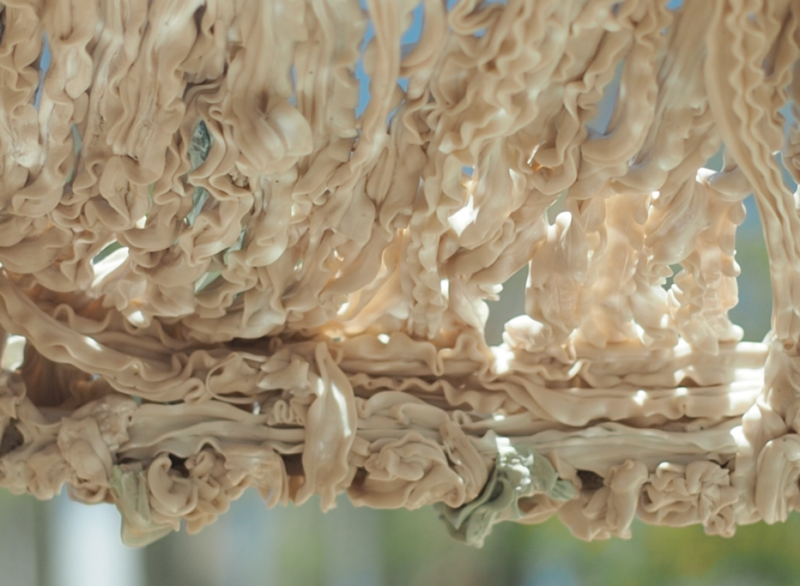 Margherita Soldati - Plastic waste into tactile installation is geslaagd! Dankzij 28 donaties die samen € 2.250 opleverden voor Margherita Soldati. 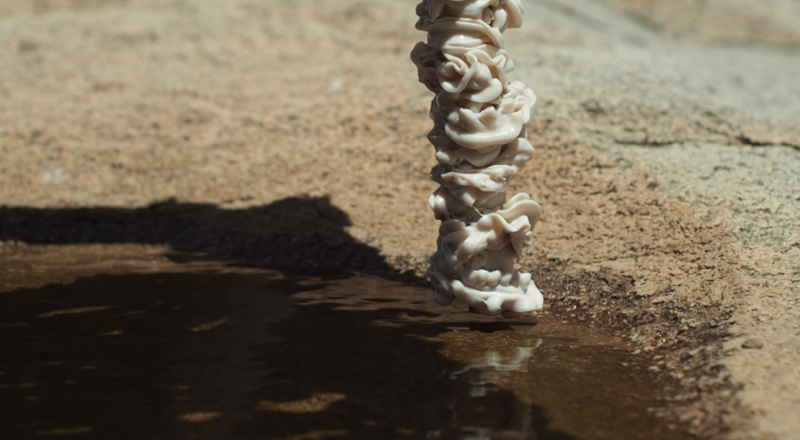 I'm Margherita, a young artist graduated in 2018 from Gerrit Rietveld Academy with a background in Industrial Design. 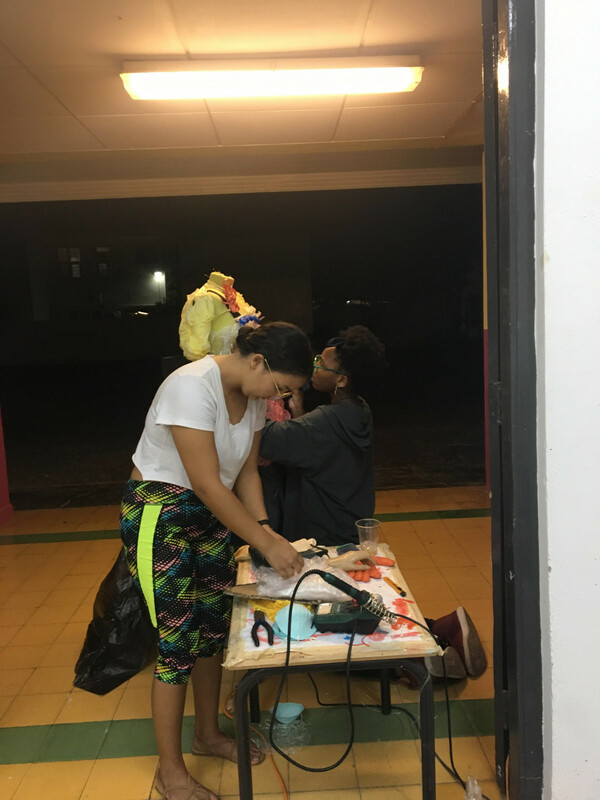 I have been invited for one month at Atelier '89 an art residency from Aruba, to research how to use the plastic waste collected from the sea to create a tactile installation and to give workshops on how to use waste material as a resource to produce tactile surfaces. And, I need your support! 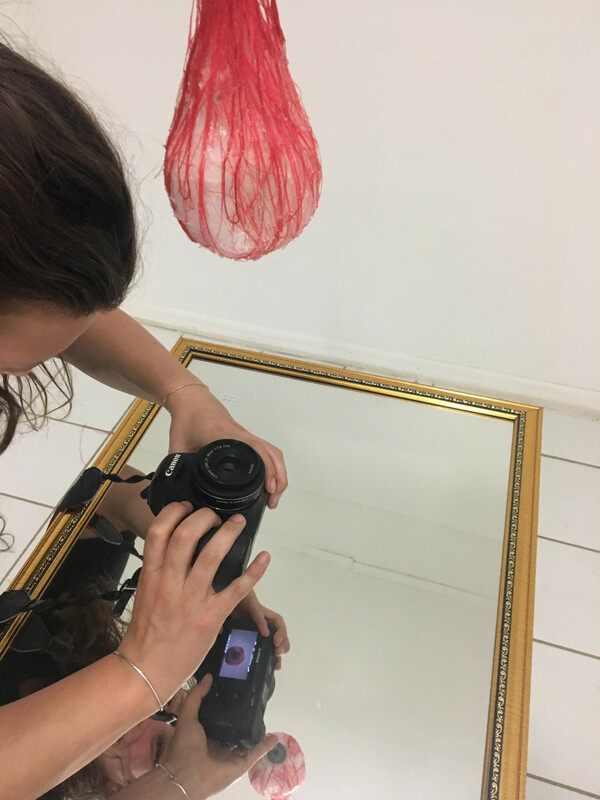 My work consists of creating interactive installations where I try to make it possible for people to ‘see’ with other senses that are non-visual to generate awareness of the fact that our body is a lively sensory system. 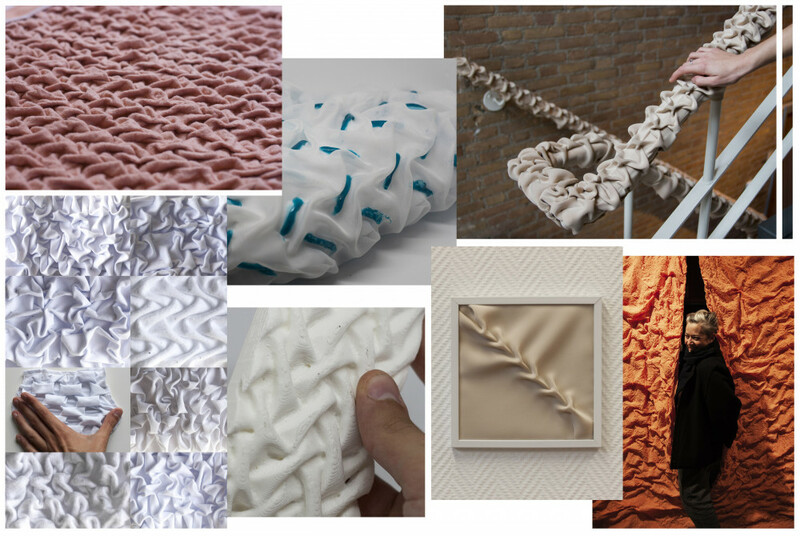 I have been mainly using textile as my main resource up till now. During this residency, my goal is to develop my work by using plastic waste as the main resource. Why do we keep calling ‘waste’ waste? It is a resource! 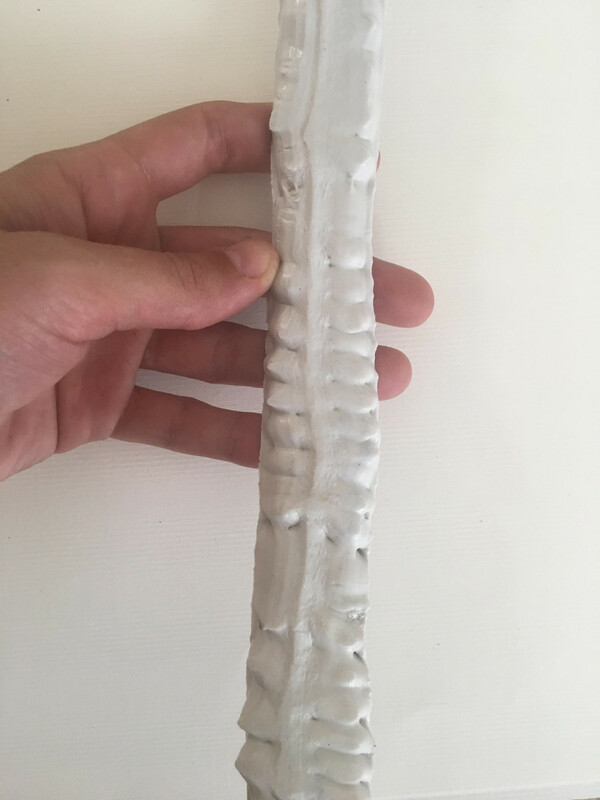 How to manipulate old plastic into a tactile surface? How to transform old plastic in a weaved surface? 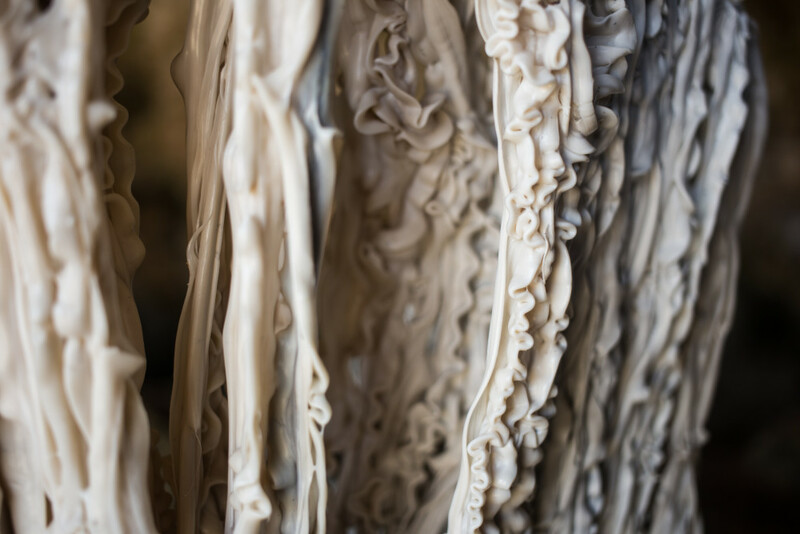 Can digital fabrication help convert old plastic into usable material for weaving a tactile surface? 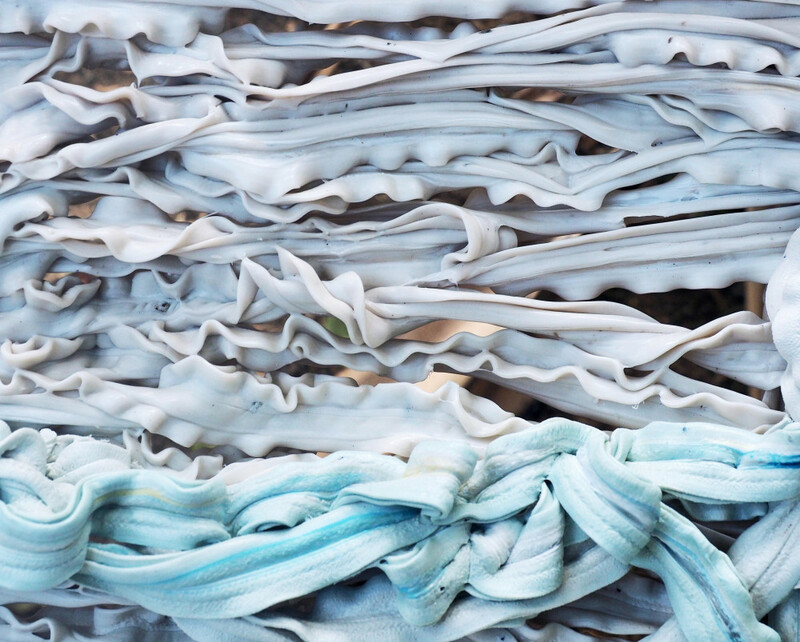 Is it possible to treat plastic like textile and produce organic shapes? Can 3D printing help me develop these ideas? Those are few of the questions I will elaborate my research on. To show this vision I spent the past few years researching specific materials and textures which could give the right sensorial effect and combined them with textile-manipulation techniques to work them into sensorial surfaces. For those surfaces to come to life I aim to reach a broad target group. 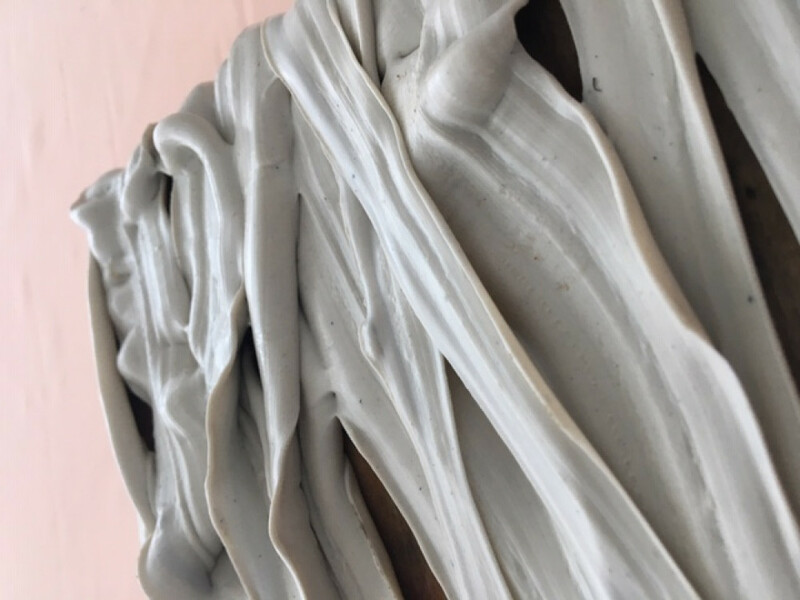 Next to inviting fellow creatives or children to interact with my works I have also created tactile installations for blind people or people with Alzheimer and Dementia to understand the different ways of how people use their senses and interact with these surfaces. I started with smaller objects and now I am investigating ways to alter standard architectural elements into tactile environments. Atelier ‘89 will be providing me with a studio and a stimulating environment where I can live and work. I will be there from mid-March till mid-April 2019. 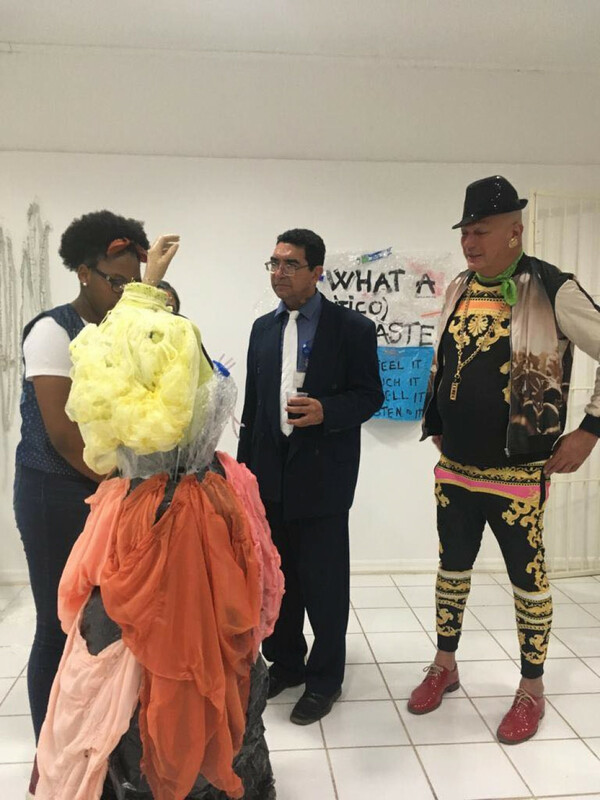 Next to Atelier '89, I approached Brenchie’s Lab which founded an initiative called ‘Plastic Beach Party'to collect and recycle the plastic waste from the beaches of Aruba. 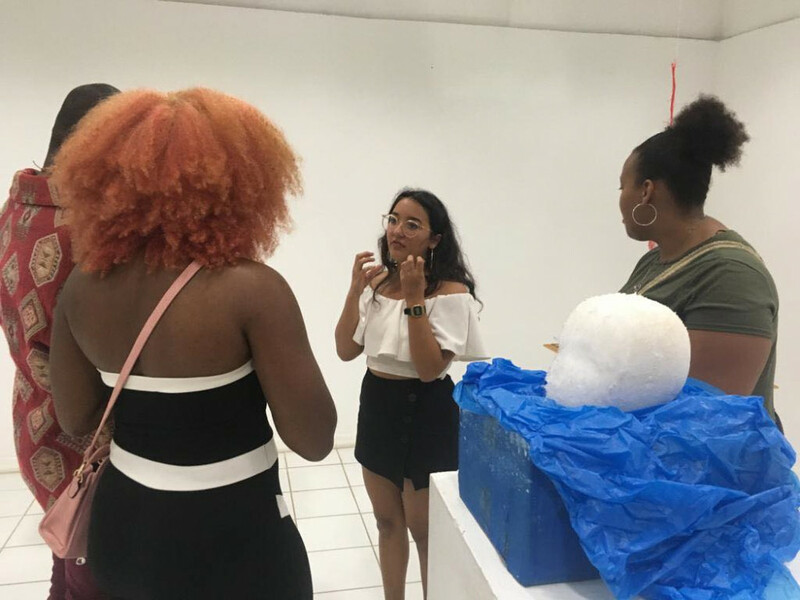 Brenchie’s is an amazing open platform with a lab where I can use facilities and tools to develop my ideas and have an open exchange with other artist and creatives. 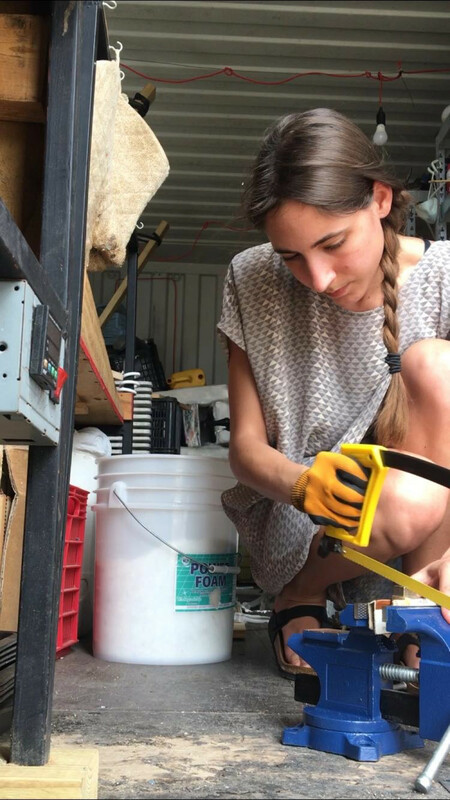 Meanwhile, with the workshop's students, we will dive into the process of transforming waste into a new tactile media and actively discuss the topic of waste and recycling. I will teach them how to manipulate surfaces to create patterns and textures, but mostly I am curious to discover the possible outcomes of this collaboration! 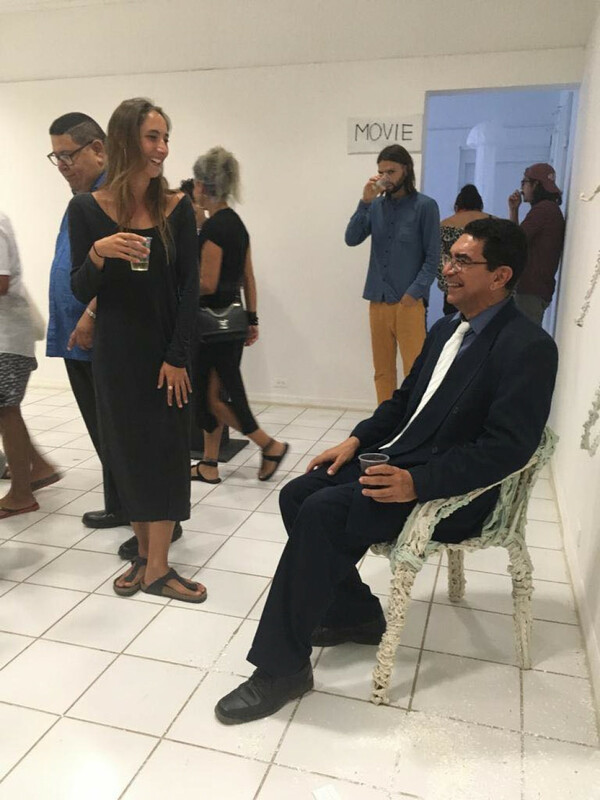 Next to the final exhibition in Aruba, I am planning to produce a MATERIAL LIBRARY out of the research I will develop that will be shipped back to Amsterdam to be displayed in an exhibition in early May 2019 in which you will all be invited! What is tactility for me? Nowadays we are getting more and more used to rely on our sight thanks also to the technological boom of the last 20 years. Nonetheless touch still remains one of the most powerful and primordial sense. Our memories are stronger when it comes to touch. 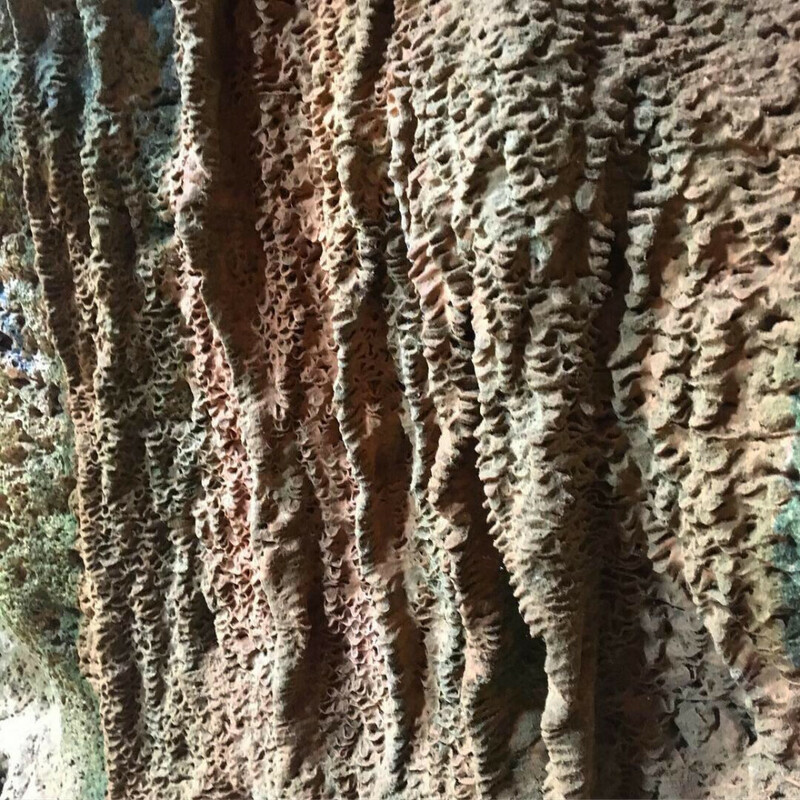 Our skin is the organ for thought, as it reads the texture, weight, density and temperature of matter. Some institutions are already talking about involving tactile art into cultural heritage for people with mental disabilities or for people with visual impairment. I strongly believe in the importance of having all people experiencing tactile and sensorial art. Very interested? contact me for more readings or get an insight on my practice! The research period at Atelier ‘89 is a dream opportunity. But also one with a price tag and I can really use your help! 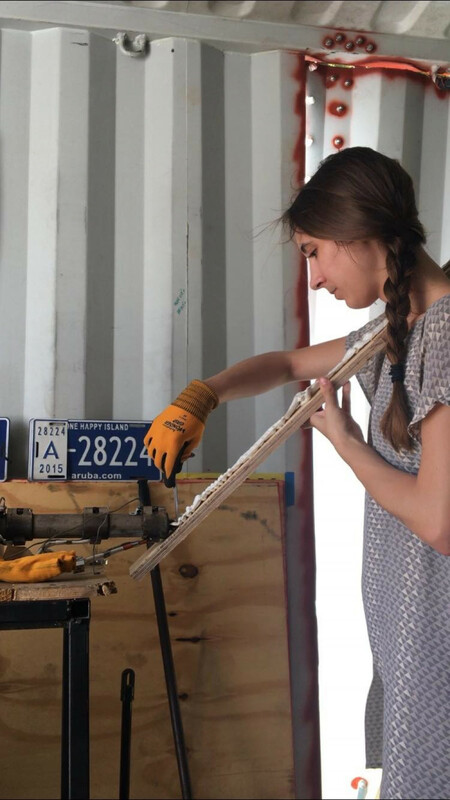 Your donation is necessary to cover the transportation costs, material for the workshops, presentation costs and a few unforeseen costs that I will probably encounter during the making of the project (extra tools, extra materials, etc.). Do you want to know more, or do you have an idea for a future collaboration? You can drop a line here: info.margheritasoldati@gmail.com, or give a look at my previous works on www.margheritasoldati.com. I would like to give everybody something in exchange! 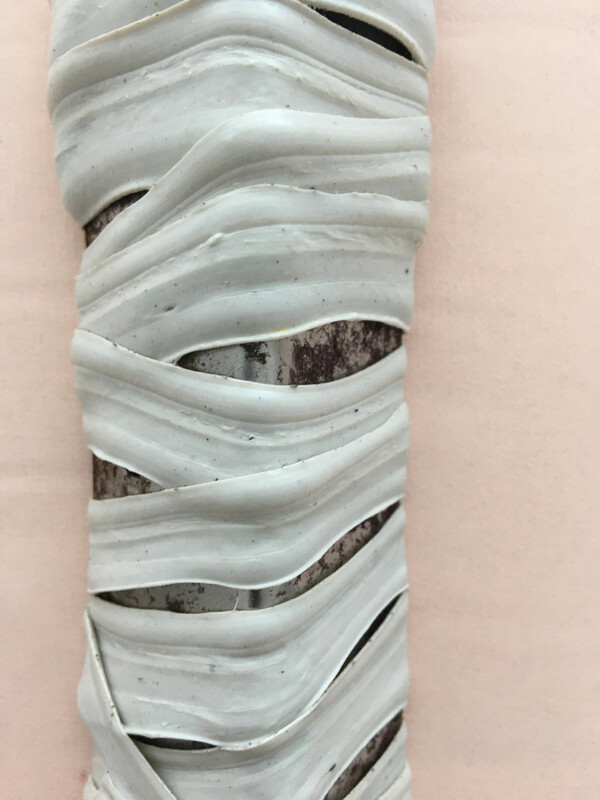 I am willing to invite you for a private workshop in my studio where I can teach you how to manipulate different materials into a tactile surface and play with different mediums. Or, I can give you a private tour in my ongoing exhibition inside the building of Mediamatic in Amsterdam and have a chat with coffee. So please contact me if you like the idea and if you have other suggestions just drop me a line! Cuz she should get all the support she can get. The Art Residency at Ateliers’ 89 is finished and I am back in Amsterdam together with the work that I developed in Aruba. Thank you for your precious support, it has been a unique experience. Aruba is a small touristic island, and even if I did my research before traveling there, I have been surprised every day. If you research Aruba on Google is very hard to grasp what the island really is. There is so much more behind luxurious resorts, big hotels and beautiful excursions on pretty boats. 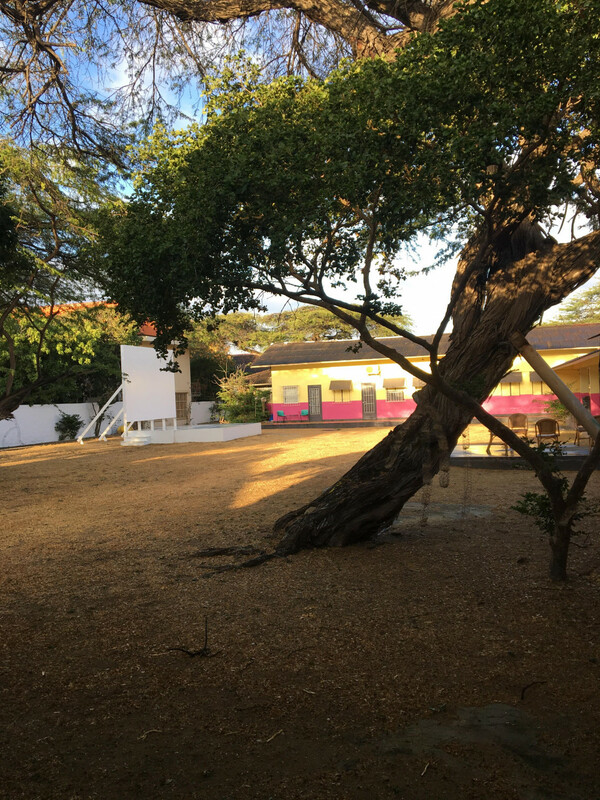 There are people living their normal life and small community, like Ateliers’ 89, trying to make Aruba a better place. My time during the art residency was divided in between working on my own project (producing a tactile installation/object by using plastic waste) and giving workshops to students coming to Ateliers every evening on how to make sculpture or installation by using plastic waste, all the works together has been presented in a final exhibition. 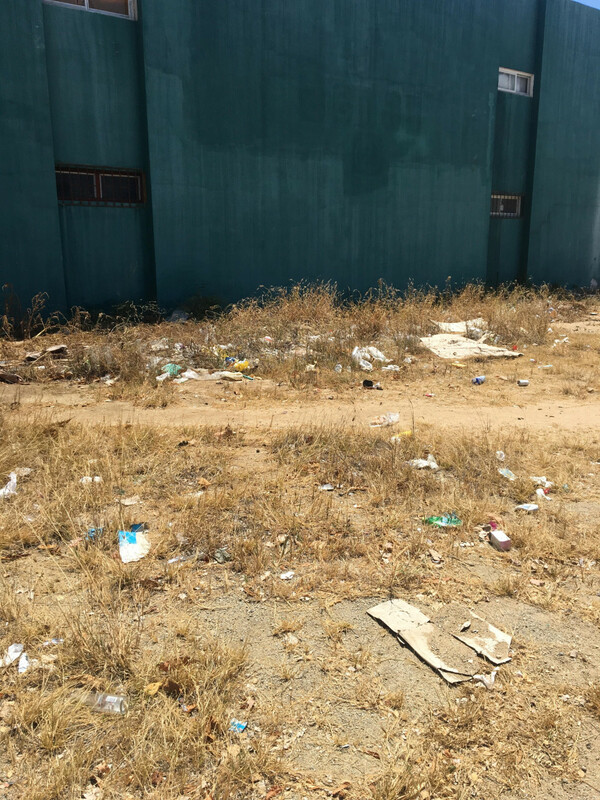 It was very easy to find plastic waste, as the trash is not divided and properly recycled. 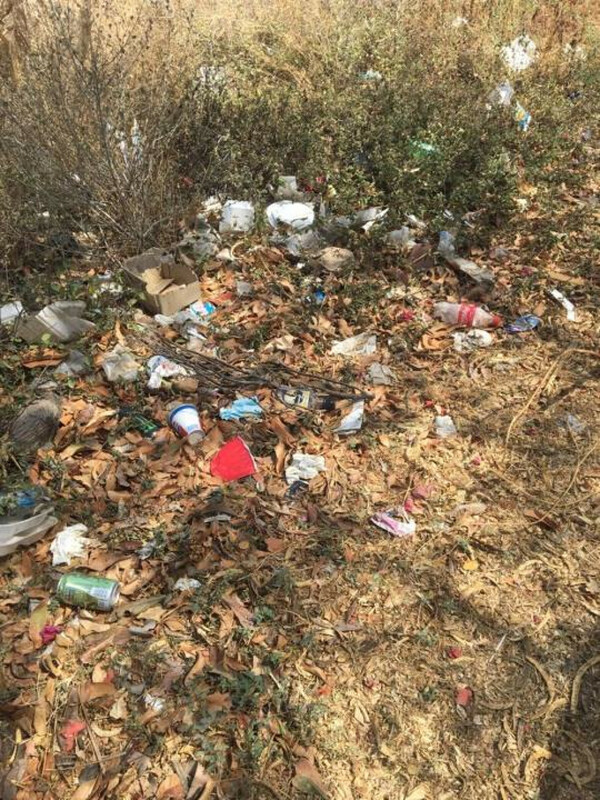 Streets and non-touristic beaches (in the national natural park) were full of plastic waste. 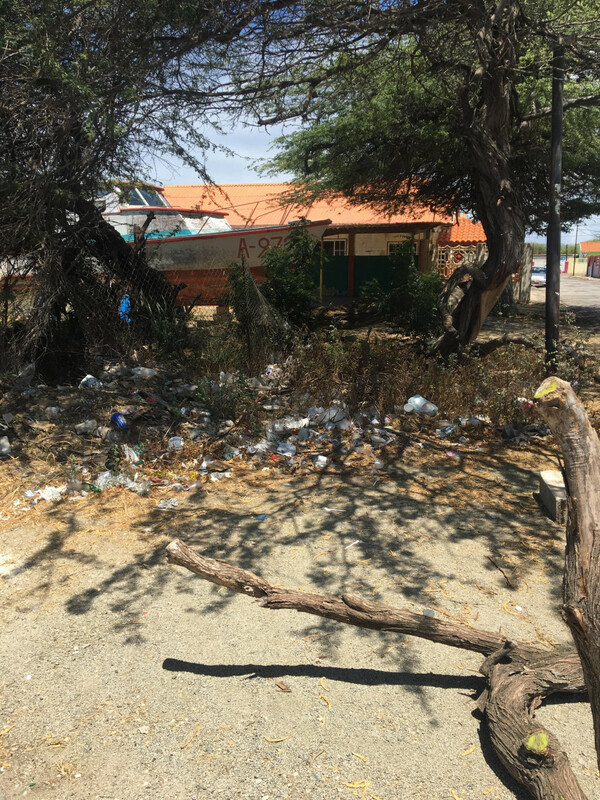 You can see that Aruba is trying to solve the problem by forbidding plastic bags in all the shops and substituting some plastic product (straw in bars for instance) with paper ones, but because of the trash brought from the ocean and bad recycling, the problem is still not fixed. 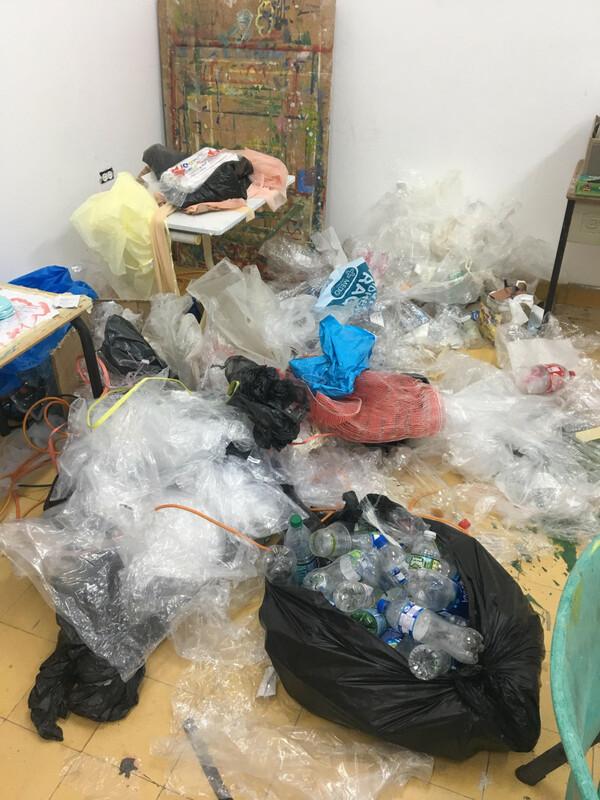 Therefore, I could easily start collecting plastic and introduce this medium in the workshop by reflecting on the importance to find a better way to deal with it. 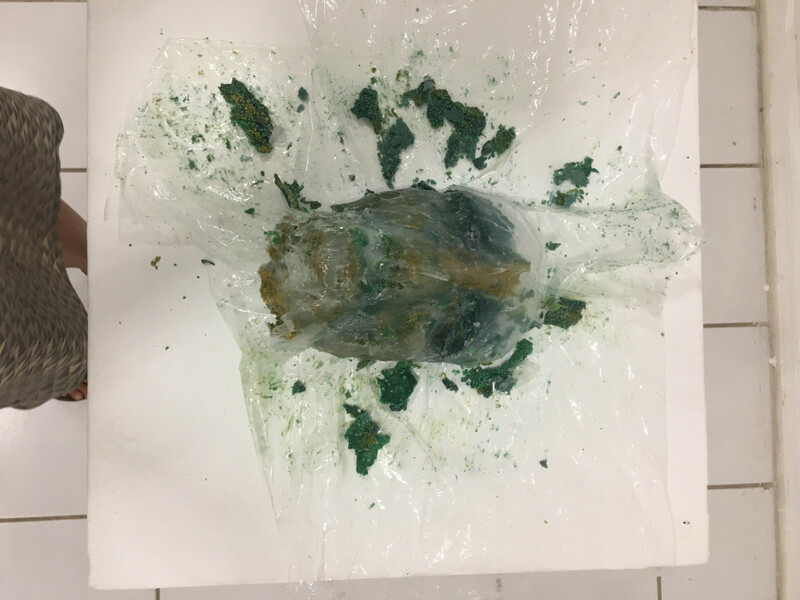 In this part of the process, I received a big help from Brenchies' Lab, which is an institution that collects and recycle plastic waste on the island. They offered me the possibility to use their facilities and their tools to work on my own project. On the other hand, my students got to know about the existence of Brenchies’ Lab and they are now aware that is possible to bring their plastic waste from home somewhere safe where it will be properly recycled. For the all month I have been talking plastic, collecting plastic, reading plastic, teaching plastic and making plastic. At the very beginning of the process, I decided to use the extruder machine as my main tool, which works in a similar way the 3D printer does but is bigger and positioned horizontally. 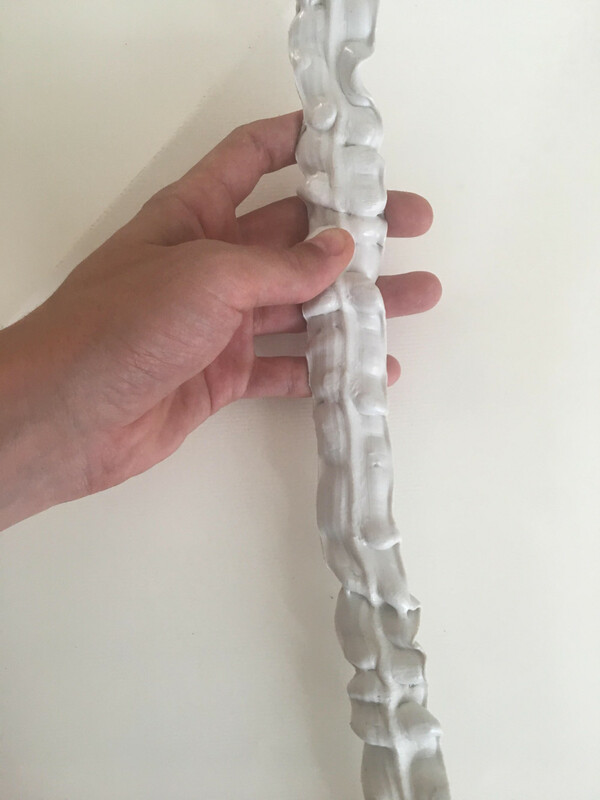 By modifying the exit part I started to create plastic filament with different shapes, and for the first 10 days I spent my time getting to know the machine and the different ways I could use it. 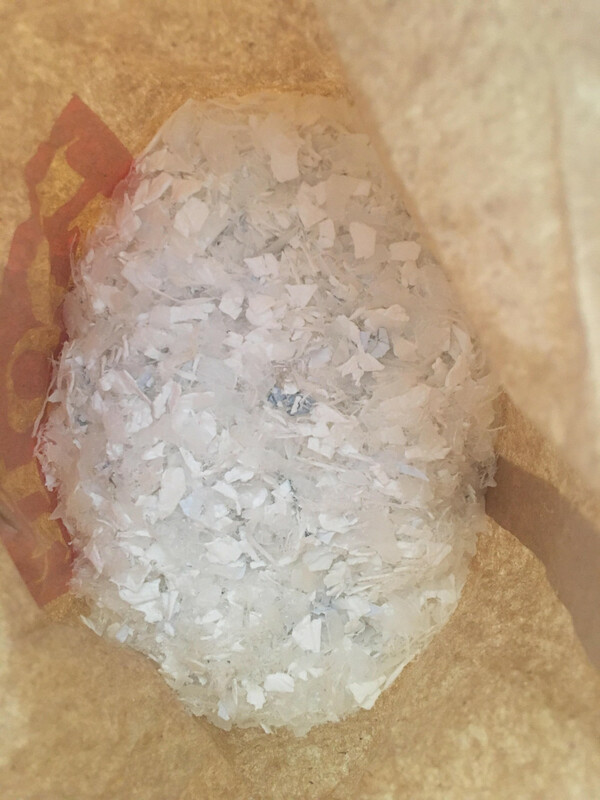 In the meantime, by reading, listening to podcasts and talking with people I realized how difficult it is to recycle plastic and to reintroduce it as a new material in the chain of production. Plastic waste needs, first of all, to be properly washed out from the leftovers of food, otherwise is very difficult to reuse, I did not know about that. I learned that not all the type of plastic can actually be reused and that the production system to melt the waste into a new material can be toxic and bad for the environment as well. I also started to read articles saying that plastic (microplastic) is more and more found into humans body, I got to know that we eat microplastic by eating animals that had previously ingested plastic themselves or by contamination with plastic packaging, we drink microplastic as water is often polluted and we even breathe microplastic through the fibers of our polyester clothes, etc. I was a bit shocked and for a while, I had to think about how to better express this new knowledge and new feelings into a work. 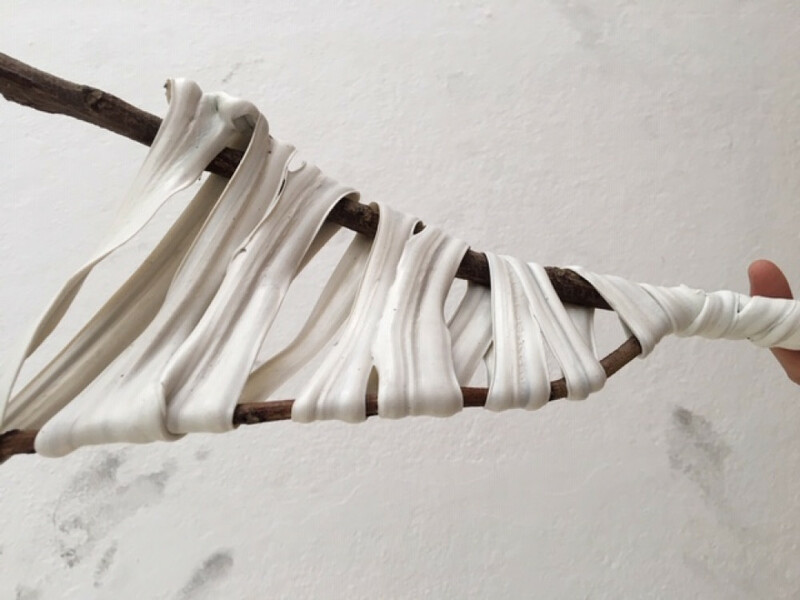 In my practice tactility is the medium through which I communicate and in my works, I often explore the tactile perception to create a more intimate and interactive relationship between the space, the work and the visitors. 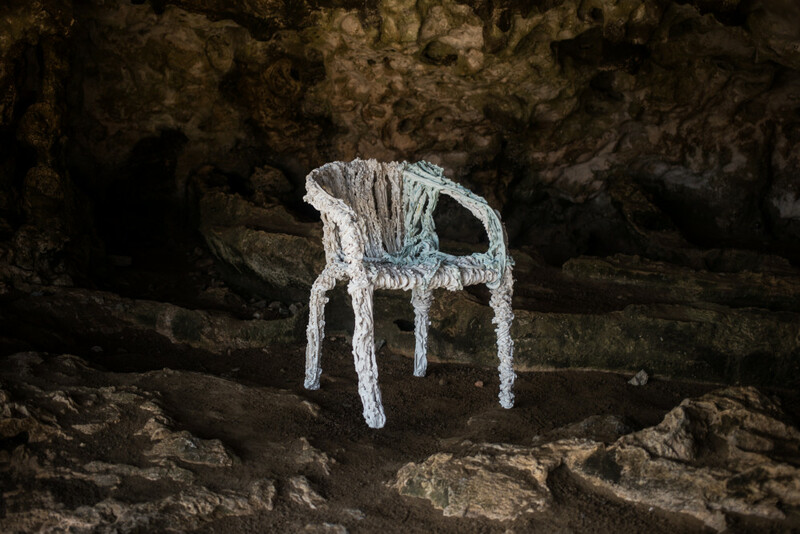 So, by using plastic waste and the 'dear' extruder machine, I created an organic and repetitive shape, (which later on I found out was extremely similar to a natural rock formation growing into the caves of the National Park of the island), that I used to make a chair. This chair is made to feel very uncomfortable if people would sit in it. Even though the structures that the chair is made of are intricate and detailed and look flexible, malleable and soft on the tactile side the same structures are cold, rigid and quite uncomfortable. My work, together with the works of my students, has been presented in a final exhibition at Ateliers' 89 on the 11th of April. It was a success! Families, friends and many more people came to visit the exhibition. The students and I could explain our process and how we used plastic waste. 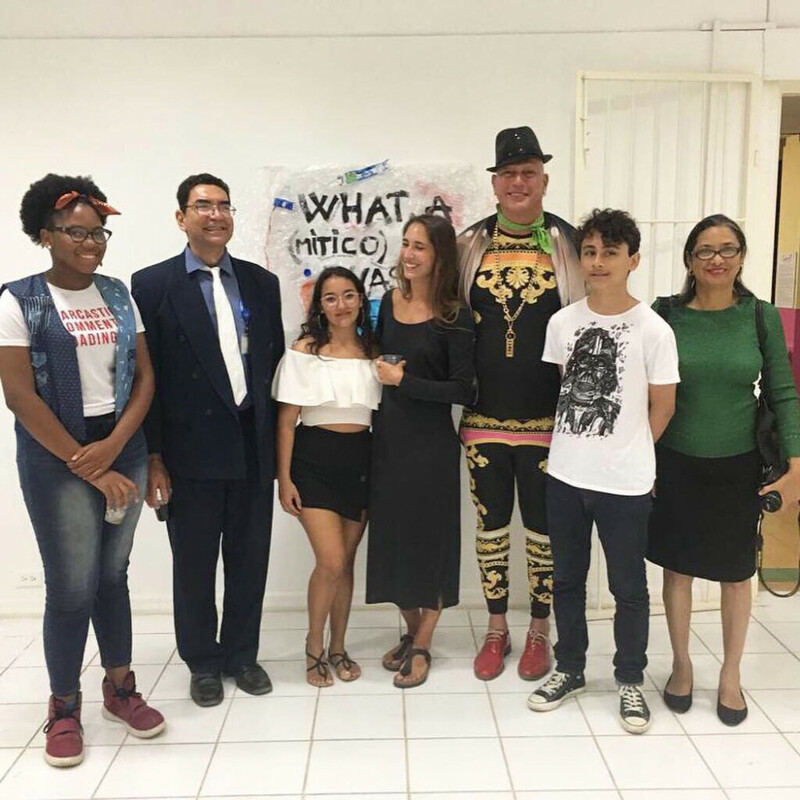 Even the Minister of Education of Aruba came to visit the final show and took the time to speak with each of the students. student explain her work to Elvis (curator of Ateliers'89) and the Minister. student explain her work to the public. More than half of the population is composed by Aruban, people and families that actually live on the island 365 days a year, and Ateliers’ 89 is a small jewel in it. The cultural exchange that Ateliers’ 89 provide to an artist coming from Holland (like me) is very precious. The students I had the pleasure to work with were mainly kids from 13 years old on, but also doctors and elementary teachers. In each of them, there is a big potential that just needs to be discovered and guided, they are all very passionate and sensitive. You can see it by how they translate their stories and emotions into their works. They could learn from me a new approach towards the use of a new material, how to experiment with it, how to not be afraid of failure or a bad first result, how to play and be surprised by what their hands can do. From them, I learned how to communicate about art with someone who did not graduate from an Art School but is anyway extremely talented and how to look at art in a more personal way: ‘If I can’t tell my story then I won’t be able to make art’ they told me. Aruban people are used to tourist coming to the island to get something from them, they are used to give and give and give and I had the impression that especially the young generation, is very tired of living in an Americanised entertaining park. Here is why Ateliers’ 89 is SO important: Elvis, Margriet and Gerrit are inviting artists who are GIVING to Aruba their time and knowledge. The students can finally receive and get! 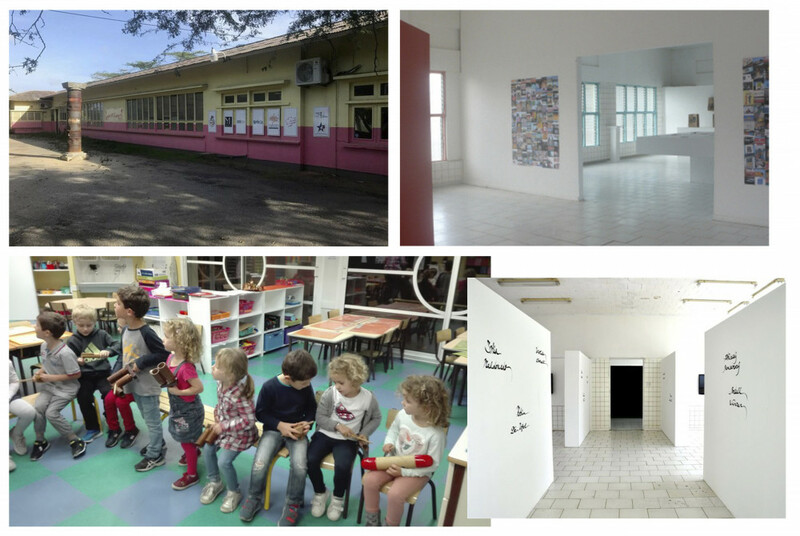 Not to mention that the, mainly younger, students are coming from, sometimes, a difficult family situation and at Ateliers’ 89 they can receive the attention they deserve and discover something new that might be an important tool in their future. One of my younger students who joined my workshop explained to me that at school he was asked by the art teacher to create a small advertisement video to stimulate Aruban into joining a career in tourism (cleaning in hotel, Horeca, tourist guide, rental company for cars, etc) and sadly he said: ‘This is how my future looks like, they are already preparing me in school on the fact that I will most likely pursue a career in tourism’. Ateliers’ 89 is what stands in between these two worlds. 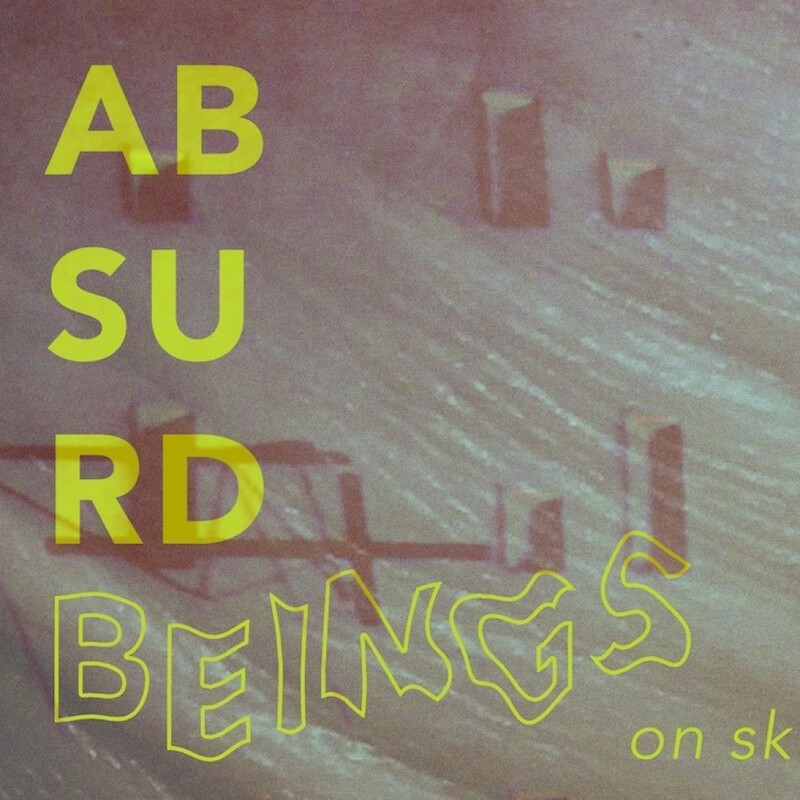 Now you are all invited to see 'Uncomfortable' in a new setting as it will be presented during the second edition of Absurd Beings (on Skin) exhibition at the KunstKapel in Amsterdam from the 1st of May till the 4th of May, next to many other works from 14 other talented artists. For more information check the facebook event HERE. The opening will be on the 1st of May at 5pm. I want to thank everybody one last time. This residency has been a very important experience and a great process for me and I will most likely continue working with plastic waste. p.s. Keep checking your mail post box! The 4 weeks of residency/teaching are almost over and next week on the 11th of April there will be the final exhibition at Ateliers '89 of my work, next to my students work. I would like to share with you a few pictures as sneak peek of what it will be. All the projects have been created using almost only plastic waste collected from the island. The plastic waste is found mostly in the streets (a lot) and on the north side of the island on a few beaches brought by the sea. Those beaches are facing the open sea and they are not touristic, that's why I believe there is no urgency to keep them clean. 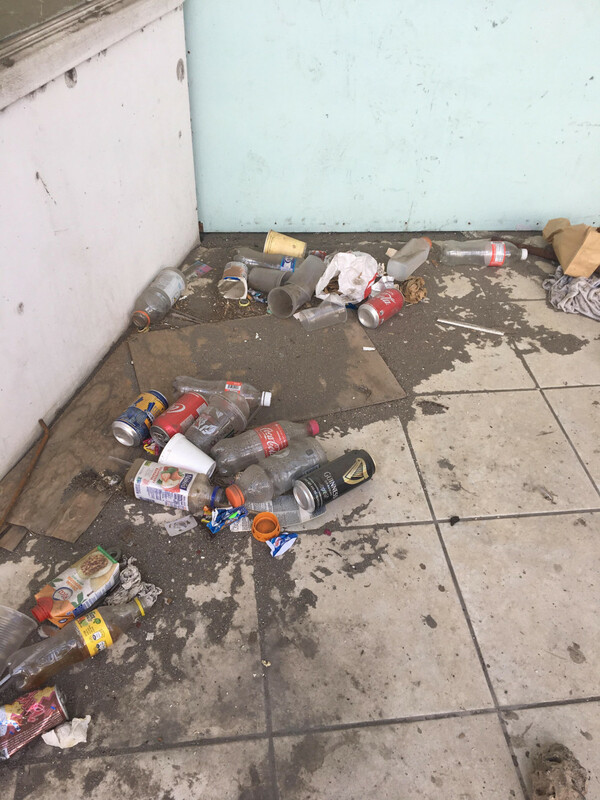 In Aruba, the trash is not divided, so glass, paper and plastic end up in the same bin. Fortunately, all the stores do not sell plastic bags anymore, so the grocery is transported in cardboard boxes or paper bags. Next week, after the exhibition, I will share all the pictures of the final works and update a final report from this all experience. While here you can view again a few pictures of the work in process. Thank you for reading and, to next week! This week I have decided to focus on the extruder machine at Brenchie's Lab. By using this machine I can control the speed, the flexibility of the material and especially the shape. It all starts from the shredded plastic waste that is melting inside of the machine and it gets pushed out on the other side. I realised that it is possible to control the shape and the size of the filament by producing new metal shapes that I can easily screw on the ending part of the extruder. So now I am really playing around this new toy machine and exploring all the different possible shapes that can be created. At the same time, I'm finishing to gather the tools and material for the workshop that will start next week! Using the morning hours to collect waste on the street and finishing to buy the last materials and tools that I could not get on the plane with me. This week I could also see the space where the installation will ultimately be in Atelier's 89: beautiful, full of light and very big! Today I went to Brenchie's Lab: it is a real playground where all the collected plastic waste can be recycled in many different ways. I got an introduction to the space and to a few of the machines. And, I already started making tryouts. I will use this week to get to know how to use the different machines and tools that are available and experiment with each of them to get an idea of what is possible to do. I want to thank everybody who has been supporting me with this campaign! Thank you and feel free to email me during the time I will be developing the project. I arrived yesterday night at Atelier '89 and today I had the first walk around the neighbourhood. Tomorrow I will start working on the project. Following some pictures of Atelier '89 and a few spots where plastic is growing wild. Margherita Soldati's practice is something that should be stimulated due to its benefit for people in and outside of the arts! Omdat ik voor recycling ben. WOW! You will receive a Postcard with a personal thank you! WOW! You will receive a Postcard with a personal thank you and a studio visit with a private workshop. WOW! You will receive a Postcard with a personal thank you, a private tour in my ongoing exhibition! WOW! You will receive a Postcard with a personal thank you, a private tour in my ongoing exhibition followed by coffee and chat! WOW! You will receive a Postcard with a personal thank you, you are invited for a studio visit&workshop and a private tour in my ongoing exhibition!